Sydney Shop Girl: Blue Steel. Girl Power at the Gym. Lots Of Other Things Like Shoes. Blue Steel. Girl Power at the Gym. Lots Of Other Things Like Shoes. Oh, they were good times at the gym this morning. Yes, seriously. at least I was wearing my neon pink and magenta trainers from Adidas via Orlando. 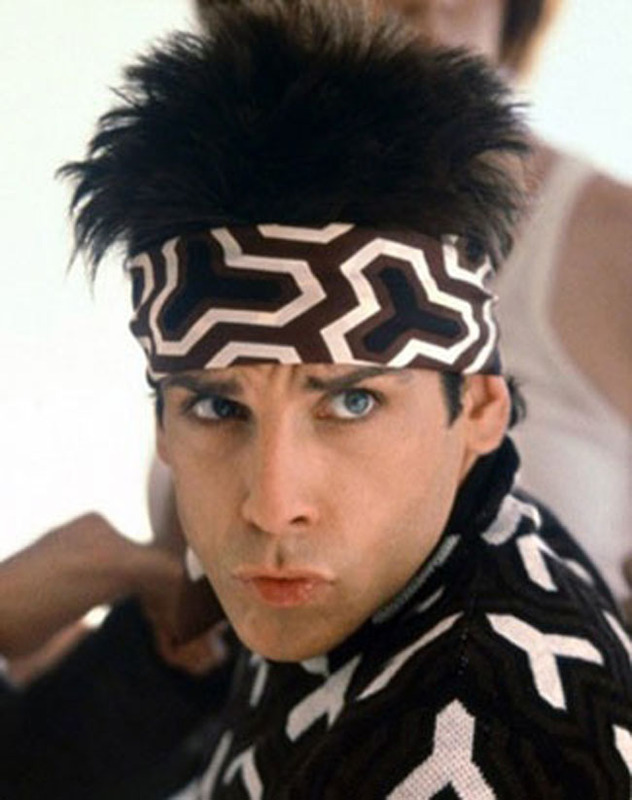 And possibly my best Blue Steel face for the mirror in front of the cross trainer. But you know what made the morning even better? MTV's choice of video clips for the graveyard shift. Ariana and Iggy's 'Problem' is officially my cardio ear worm. What's not to love? Killer lyrics, strong vocals and a video clip that you can actually look whilst sharing the gym with a bunch of middle aged men and women. Miley, take note. Keep up the good work Ariana and Iggy. Iggy, your country salutes you - numbers 1 & 2 simultaneously on the Billboard Hot 100. And just as I was dying under the Smith Machine, MTV came up with this classic. Telephone is four years old already but it's timeless. I almost couldn't leave the gym. What if they put RhiRhi and Shakira on next? And I missed them? Oh, all right. It's Friday. Here's RhiRhi and Shakira's clip. I love Friday afternoon blog posts. They just go everywhere and anywhere all at once. I might have had a cracking time at the gym this morning, but that didn't stop me getting to work on time. A bit early in fact. So that I could dash down the road for my usual Friday coffee in my new work shoes. May I tell you about my old work shoes? You might even have a pair of them yourself. You know that pair of shoes I'm talking about. They're probably black, have enough of a heel to make your legs look half decent in a skirt but more importantly, they're comfy. Too comfy because they're around five years old and showing serious signs of wear at the heel. You've been meaning to replace them for ages but somehow nothing at the shops is exactly what you're looking for. So you compromise and buy yourself a same but different pair and keep the new pair in its shoe box while the old faithfuls keep getting worn. Heels - Rockport, $69.99 from Costco. Had to buy something from Costco yesterday to celebrate the opening of the Brisbane's first store. Well, anarchy (along with all that girl power music) was in the air this morning and I finally binned my old soles and whipped out my new pair of Rockport heels. They're probably more of a pump than a heel but they're the highest heels I've worn to work in quite some time. They're very comfortable and feature the adiPRENE by Adidas soles, to match those trainers from this morning. I barely noticed the heel height all day. To finish off today's kitchen sink post, I've got an update from the SSG Manor Kitchen. 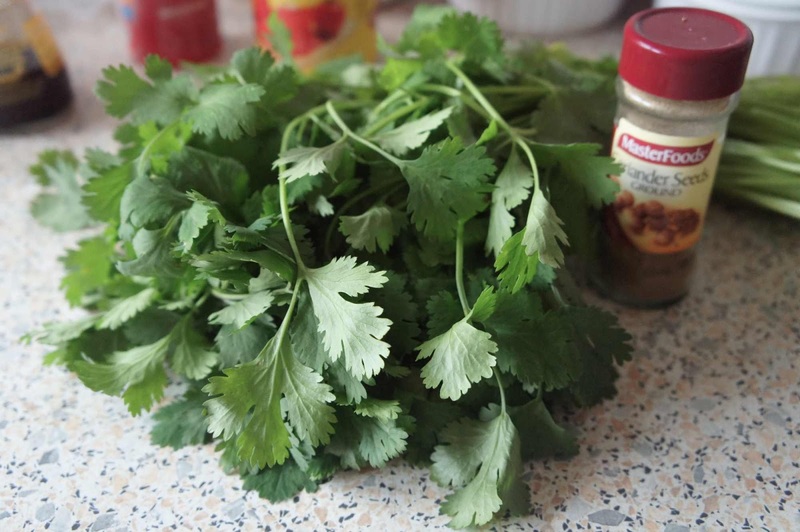 The kitchen loves coriander. So much so that it made some Punjabi Garlic Chicken featuring a double hit of the heady green stuff - those fresh leaves that smell so good freshly chopped and a generous lug of ground coriander seeds. 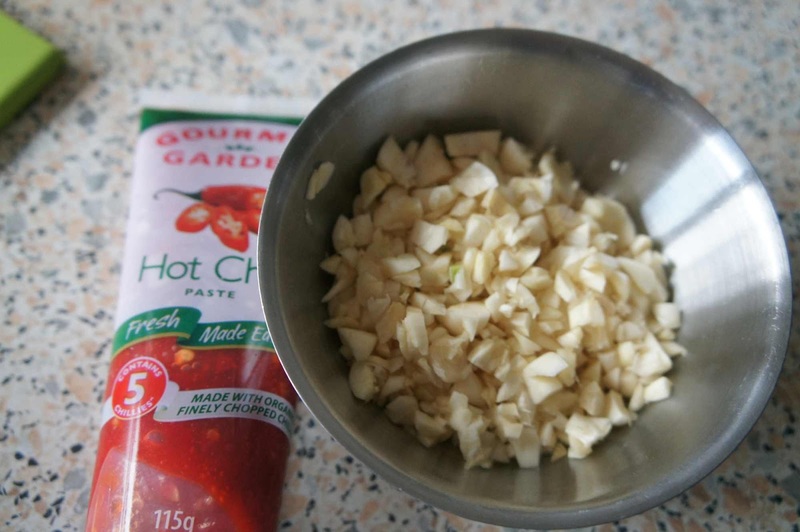 It's best to err on the side of generous with chopped garlic and chilli. 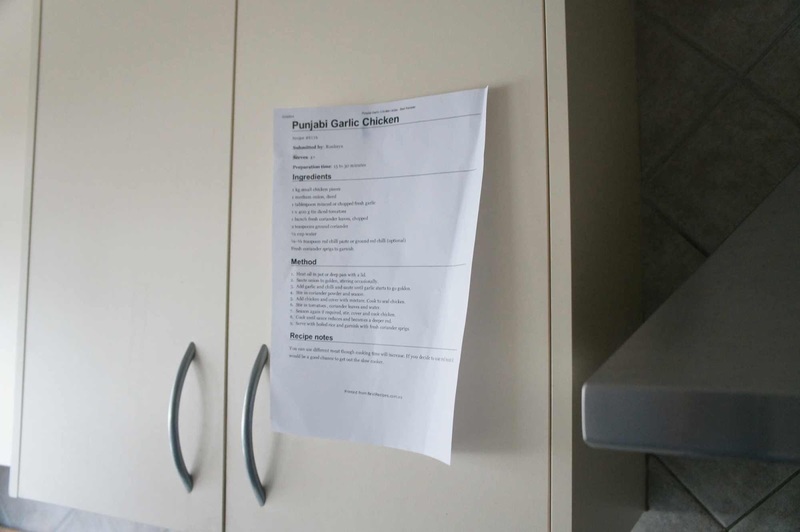 I took a leaf out of the Come Dine With Me home chefs and blu tak-ed my recipe at eye height to a cupboard door. I added some of of the fresh coriander stems at the browning of the onions and garlic stage. I've not made too many Punjabi recipes, this was my first attempt actually. 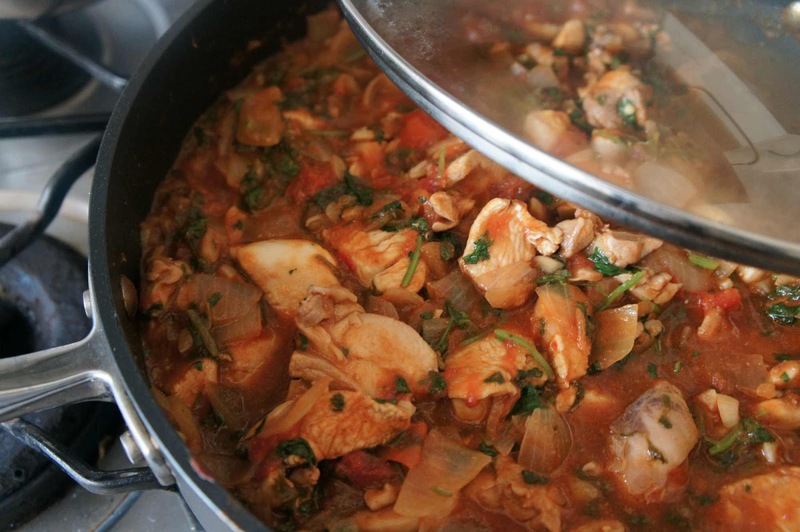 Though the dishes are often hearty, I like the way that this is often counterbalanced with lots of fresh herbs. 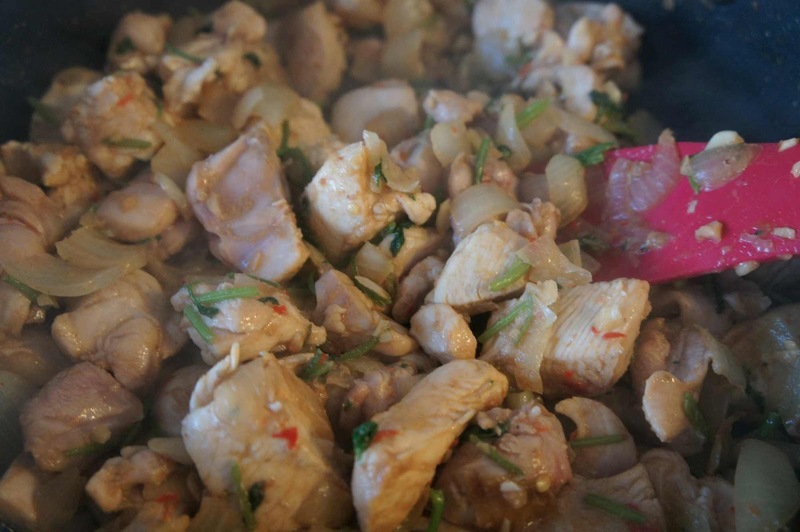 The chicken was delicious, very different to the usual tomato based chicken dishes I make and too easy to whip up. It also freezes well and tastes even better the next day. And now, I'm really going. Dinner beckons. Have a lovely evening, it'll be June so soon!!!!! I'm drooling about the food!! Laughing re the everything and anywhere line! I have just read your post and that's exactly what I had done! Depressingly, I am about to transition into 'more sensible' shoes due to foot soreness from just 'getting g older'. At least our feet will thank us for the transition to 'more sensible' shoes! I like the way your hairdresser thinks, MInerva!